Andrew Hawkeswood took a narrow win in his Mazda 2. 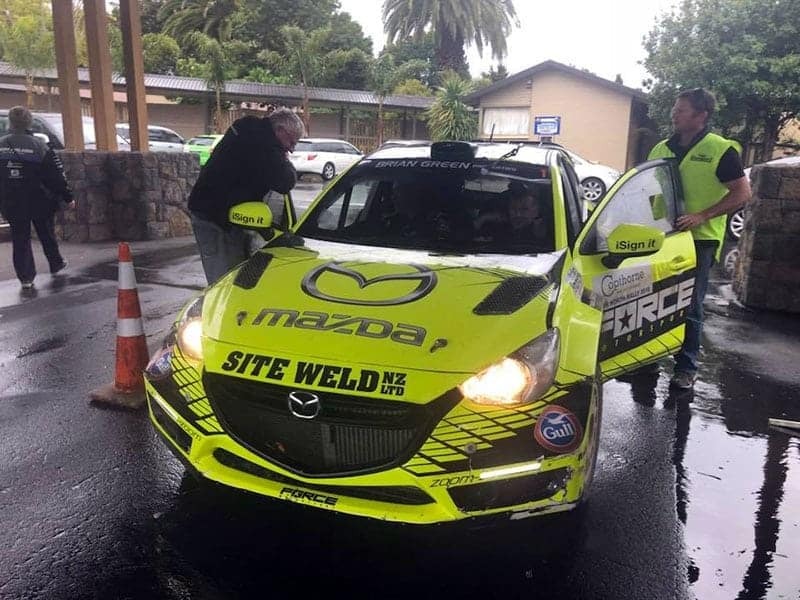 Andrew Hawkeswood and Jeff Cress have taken a nail-biting victory in the Far North Rally in New Zealand’s North Island, coming home victorious by just 3.9 seconds. The 2017 NZ Champions drove their Mazda 2 AP4 to victory over the Ford Fiesta of Phil Campbell and Malcolm Peden, with Ben Hunt and Tony Rawstorn third in an older model Subaru WRX STi. Four-wheel drive cars dominated the rally, with the first two-wheel drive car home the BMW 328i of McCrae Sloper and David Christie, just clear of Brent Taylor and Chris Ramsey in a Toyota 86. The all-daylight event featured eight special stage, with 30 finishers and 13 crews who didn’t make it through the event, including Raana Horan in his new Skoda Fabia R5, Patrick Malley in a Peugeot 208, and rally winner Andrew Hawkeswood’s son, Jack, in a two-wheel drive Mazda 2. For full results see the Chrissport website HERE.